At MWC we expect to see an abundance of hole-punch screens replacing notchy the designs of yesteryear, and another trend establishing at the higher end will be the first large screen smartphone foldables, as covered by HEXUS recently. LG, the headlining firm in this article, was recently seen to be developing a second screen case for its smartphones as a way to introduce such functionality to its devices without pushing the boat out too far. Now some more evidence of what LG hopes to impress us with at MWC has emerged – gesture control. LG says that its touchless gesture controls will be quite a revelation – even though some brands have incorporated gestures – or 'air gestures' for several phone generations. "Are you prepared to get stunned by the LG Premiere at the MWC 2019?" quizzes LG, in the above video's description. 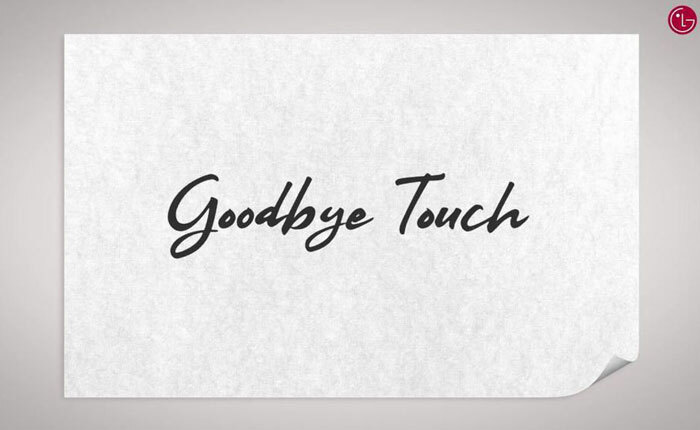 The core message of this short video is "Goodbye Touch", as well as the date of the LG MWC presentation – Sunday, 24th Feb. Taking the video title literally, The Verge reports that this non-touch gesture control will be featured in a new device called the LG Premiere. However other sites don't make this leap of reasoning. If it is truly to be a feature that means 'goodbye touch' your hand movements must be able to cover all the everyday functionality of the phone. Such a system would be useful in weather conditions where you might wear gloves or have dirty/messy hands. I remember using 'air gesture' control in some smartphone or other I owned previously. I think it was one of the Samsung Galaxy Note series, probably the Note3 but I also owned the Note5 for a short period. Whichever generation it was, it was fun to test the air gestures but in practice the system didn't always behave as expected, not as reliably as actually touching the screen. Such optional features can also eat into battery life, which was generally poor on the Note5 especially. LG has a history of using gestures too, but in a more limited capacity; such as lifting the phone to your ear to answer a call, of gestures to trigger a camera shot when you are in the picture. Hopefully LG's 'stunning' gesture implementation will be worthwhile getting used to, rather than being tested then turned off. The first indications of its appeal will be seen a calendar month from today, in Barcelona. One step close to having those transparent slate phone things from The Expanse! !